My first all knitted wire purse, this is an elegant purse in shades of white to black. 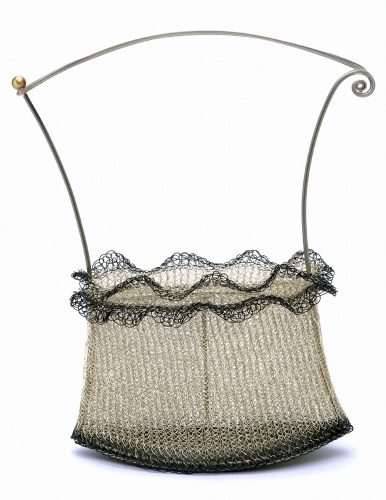 A curveous nickel frame is sheathed in a handknitted silverplated over copper wire that starts with a black border, fades to a hemalite color to silver and than back to hemalite to black, topped off with a flirty ruffle. Unlined purse, but with leather on the bottom. Can be lined on requested.